When your customers enter your auto dealership, they are looking for a shiny new car. Your car showroom should be just as shiny! You ensure the cars are gleaming and All Building Cleaning Corp keeps your showroom looking just as good. When you are looking for a car dealership janitorial service, you’ll get the expertise and experience you need with All Building Cleaning Corp.
Just as a new car shine helps to make the sale, so too does a gleaming car showroom. All Building Cleaning Corp has car showroom cleaning experience you can depend on. Our janitorial staff knows how to help you sell cars: by making the floors, windows, and surfaces in your car showroom shine, ensuring your customer bathrooms are impeccable, and keeping debris and clutter out of all open areas. Daily tasks focus on the places where your dealership sees the highest amount of traffic. Front entrances, especially during inclement weather, must be kept as clean as possible to make sure you’re giving customers a positive initial impression. Your glass doors, displays, and showroom floor will all be a priority for our janitorial teams. Having both your janitorial maintenance and deeper cleaning done by the same company ensures your commercial cleaning is completed by a team that knows your building well and that’s earned your trust. Our teams will notice when cleanings need to be scheduled and offer recommendations for the frequency with which cleanings need to be done, based specifically on your facility’s traffic. All Building Cleaning Corp can work with your facility’s management to make sure we stay within your budget guidelines as well. Staying on top of routine maintenance will help to keep flooring looking great longer and improve the lifespan of your floors. Even basic routine maintenance can save you money on your bottom line. Cleaning car dealerships also extend to employee areas. Keeping the cubicles, offices, and employees break rooms and bathrooms clean is beneficial to your staff. All Building Cleaning Corp takes care to clean and disinfect your employee areas, preventing the spread of germs so your employees will stay healthy throughout cold and flu season. A clean work environment means your employees will miss fewer days due to illness. All Building Cleaning Corp has been cleaning auto dealerships for Southeast Florida for over two decades. We have teams of cleaning professionals that are specifically trained for the auto dealership industry. They know the areas that are most important to keep clean throughout the day, and where to focus after business hours. When you hire your own cleaning staff, there’s always a possibility that you might have someone call in sick. Will the facility stay dirty that day, or will you rope in untrained employees to complete the basic tasks? Neither option is particularly appealing. Outsourcing the cleaning for your automotive facility means you’ll never miss a cleaning. All Building Cleaning Corp cleaning teams will always show up—on time and on schedule! Our team supervisors come to your car dealership and do a thorough walk-through, listening carefully to determine your cleaning needs. They make notes, pointing out any areas they think should be focused on in your facility. 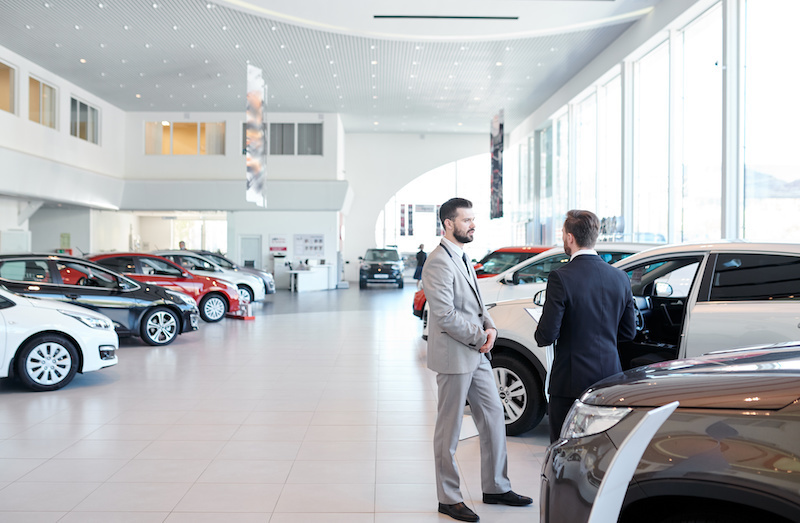 Our supervisors are well trained on the best ways to keep auto dealerships clean and the practices that will help you and your employees to increase sales. Call All Building Cleaning Corp today to hire the last cleaning company you’ll ever need!